medieval research with joyce: Hug a Medievalist Day 2018: Winners! 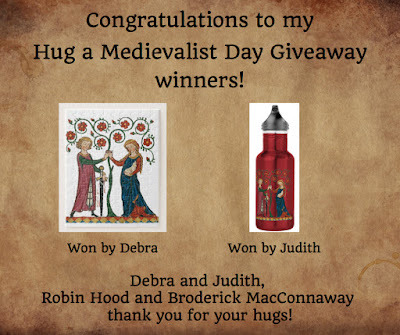 Hug a Medievalist Day 2018: Winners! 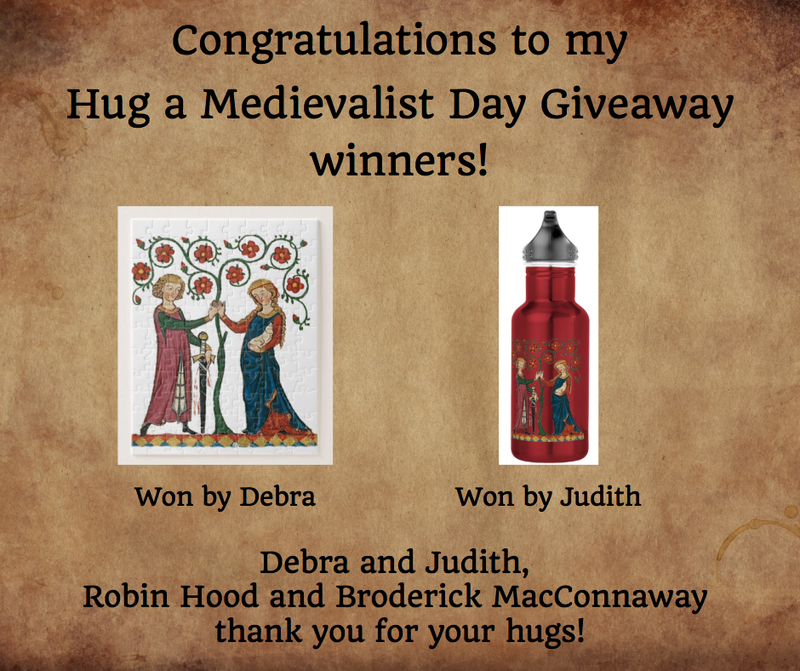 Congratulations to our Hug a Medievalist Day winners! Debbie G (who wanted to hug Robin Hood) won the Love and Chivalry puzzle and Judith M (who wanted to hug Broderick MacConnaway from the book, Heart of a Highlander) won the Love and Chivalry water bottle. Other popular votes for hugs on Hug a Medievalist Day included King Arthur, Guinevere, and Merlin. Thank you, everyone! I loved reading through this list! We'll do this again next year! To the FTC : the books I reference here on this blog were all purchased by myself. NONE were donated or received as "compensation" of any kind in return for being reviewed or otherwise referenced on this blog. This blog is designed to share the research sources and methods of author, Joyce DiPastena, in the hope of benefiting other writers interested in setting their stories in the Middle Ages, or increasing the medieval texture of works already completed. Joyce specializes in medieval fiction...mystery, suspense, and adventure, with a strong dash of romance. Sign up for Joyce's newsletter! Be the first to know about new releases, giveaways, and receive special newsletter-only discounts! JDP NEWS: Books, blogs, contests...this is the place to see what author Joyce DiPastena is up to now! Provides very high quality information on medieval castles, medieval siege weapons, and castle warfare in general, including information on trebuchet designs, medieval shields, how to build a catapult and more.